What is a praline? How to make pralines? All you need to know! What is a praline ? What is being called a “praline”? In semantic terms in the French language, a praline refers to an almond or hazelnut coated confectionery with caramelized sugar. In Belgium, a “praline” is defined by a chocolate candy with a filling. Note that the term “praline” is Belgian in its origin. In France, they talk about small, round chocolates “crotte de chocolat” to describe what the Belgians call pralines. It should be added that there are as many definitions of pralines as there are techniques for making them. However, at the start, the techniques for making pralines are limited to coating or molding. Coating consists of dipping the filling into a bath of melted chocolate or transferring the filling under a layer of chocolate. The result can create a wide variety of pralines. Molding is the other traditional way of making pralines by means of pouring melted chocolate into a hollow mold. The resulting cups are then cooled so they will harden. For the corresponding lower half of the praline, another layer of chocolate closes the cups. The praline is being removed from the mold after another cooling phase. Traditionally, there have been four types of pralines. The first type is made from milk chocolate and is filled with almonds, sugar, vanilla, cacao or hazelnut. 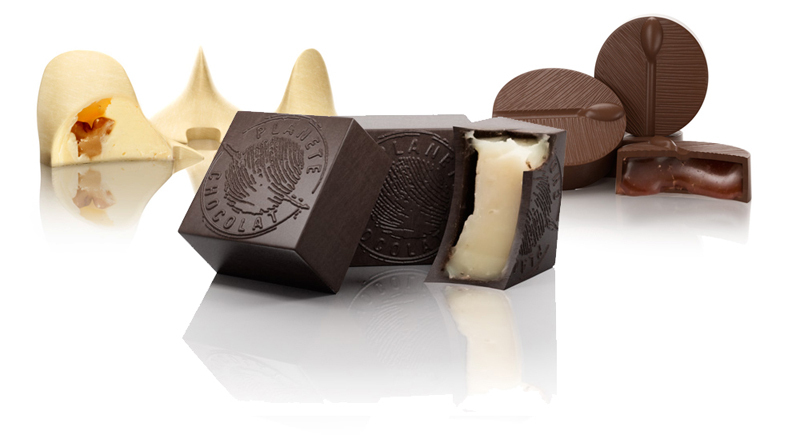 Another praline is composed of dark chocolate and crème fraîche or buttercream, which is both indulgent and elegant. 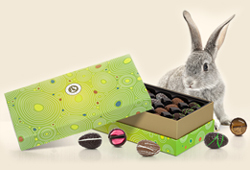 Every connoisseur knows the dark chocolate and marzipan version and the praline is known as manon. It is famous for its white chocolate or caramelized sugar and often coffee-scented with a filling made from crème fraîche or buttercream and a nut in the center. The history of the manon remains unknown. Some claim that a chocolatier created it as a tribute to the novel “Manon Lescaut” from the memoirs of Abbé Prévost dating back to 1731. 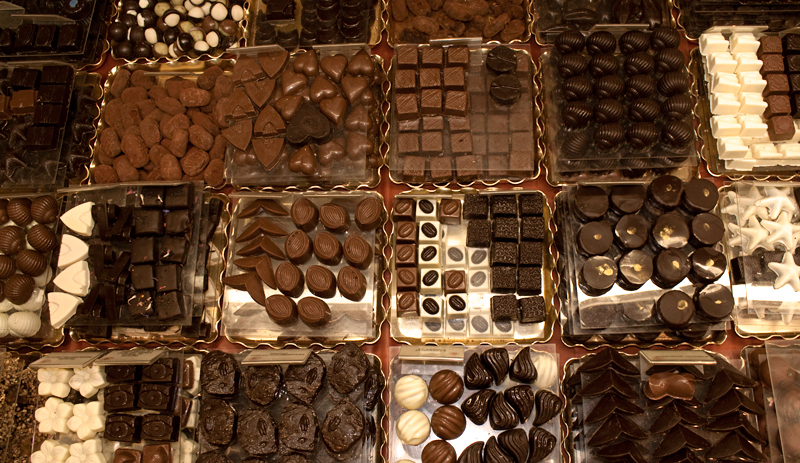 Others do put forward the theory that a chocolatier was inspired by the Jules Massenet opera “Manon” dating from 1884. Master chocolate makers continue to improve the recipe, for example adding new flavors such as gianduja, a subtle mixture of toasted dried fruits and white sugar. This praline is in between marzipan due to the white sugar and nut paste with its addition of dried fruit. The little extra is the adding of cocoa butter or chocolate. 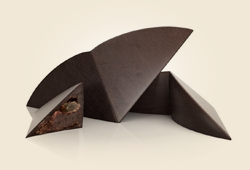 The ganache version uses crème fraiche and chocolate as well as ingredients such as liqueur, tea or fruit. If you prefer truffles note that this is a sweet mix of butter, melted sugar and chocolate usually accompanied by liqueur. To evaluate the quality of a praline: look at its color, its shine and its consistent shade. Have a look as well if the surface is fine and regular and if it breaks cleanly. As for the smell, it should give off the main flavor followed by the filling before concluding with the taste of chocolate and not of sugar.